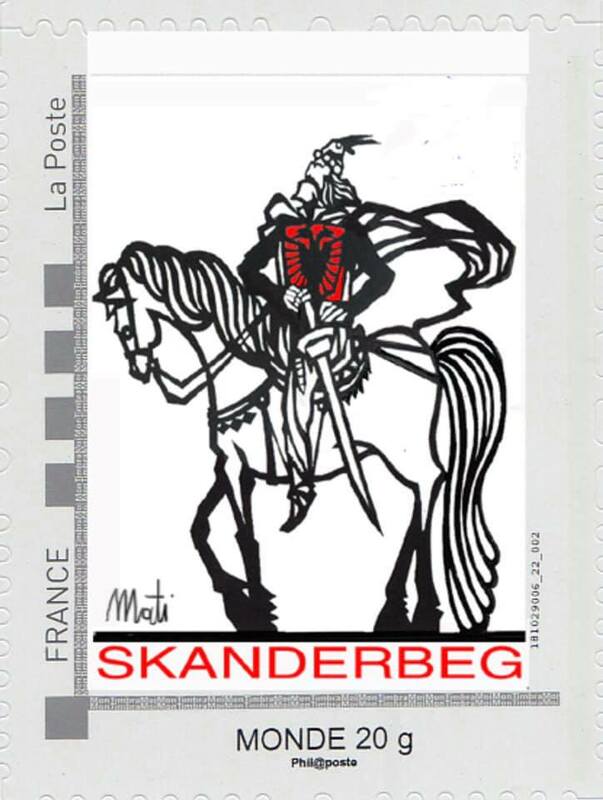 The image of the Albanian national hero, Gjergj Kastrioti Skenderbeu, will cross France with the launch of a postage stamp that is going to be published soon. The stamp was proposed by “La Maison de l’Albanie” in collaboration with known painter Zamir Mati. This postage stamp with the image of the Albanian national hero will be released by the French Post (La Poste). Previously in 2018, in the frame of the 550 death anniversary of Albania’s National Hero Gjergj Kastrioti Skenderbeu, the Supervisory Council of the Bank of Albania (BoA) decided to release a commemorative series of coins under the theme “550 years in memoriam Gjergj-Kastrioti Skenderbeu 1468-2018”. The special series consisted of three different coins Lek 200 coin in gold metal, Lek 100 in silver metal, and Lek 50 nickel coins.